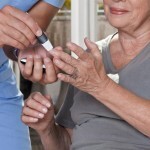 Global drug manufacturers have agreed to cooperate with an independent review of diabetes drugs classified as “incretin mimetics,” which include Byetta and Januvia, in light of a growing body of research suggesting that the drugs may be linked to pancreatic cancer and a potentially deadly inflammation of the pancreas called pancreatitis. 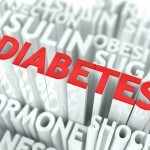 The American Diabetes Association has called for such a review. GlaxoSmithKline announced that its once-weekly diabetes drug called albiglutide was effective in late-stage clinical trials. A story in Reuters about the announcement speculates that despite those results, the drug may face challenges in an increasingly competitive market for diabetes drugs. 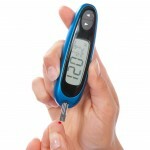 But some of the newer types of diabetes drugs such as Januvia and Byetta have generated health concerns recently. The U.S. Food and Drug Administration has approved Johnson & Johnson’s drug Invokana, which will be used to treat type 2 diabetes. 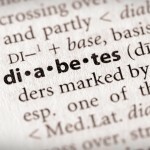 According to the New York Times, Invokana is the first of a new class of diabetes medication. It causes blood sugar to be excreted in the urine, as opposed to many other drugs on the market that work by affecting the supply or use of insulin. A number of prominent nutritionists have reiterated a warning about a potential link between red meat consumption and Type 2 diabetes, the Los Angeles Times reports. Although diabetes is manageable, the Mayo Clinic says it can eventually cause disabling or even life-threatening complications. Pancreatic Cancer UK, a charity group based in the United Kingdom, has joined the American Diabetes Association in calling for companies to release information about a potential link between some diabetes medication and pancreatic cancer. Pressure on the companies is intensifying after Channel 4 Dispatches and the medical journal BMJ reported the results of a joint investigation, BMJ says.